1. From the main icon menu across the bottom of the screen, click the “Profile” option. 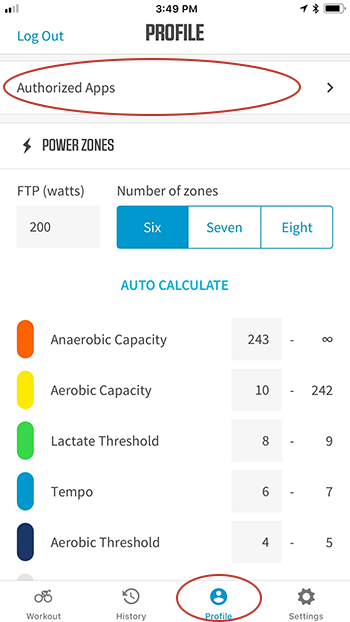 On the Profile page, scroll down and click the “Authorized Apps” option right above your Power Zones. 2. On the Authorized Apps page, scroll down the list of apps until you see Final Surge. Click on Final Surge to be taken to the authorization screen. 3. 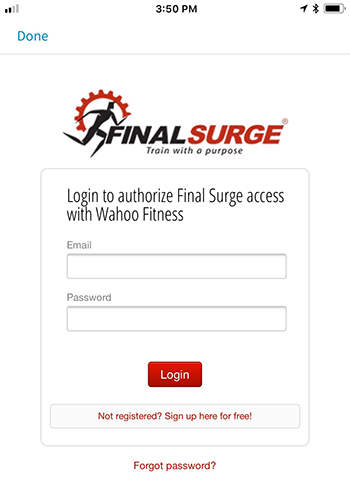 You will then be asked to login to your Final Surge account and authorize the Wahoo ELEMENT Companion App to send data to your Final Surge account. 4. 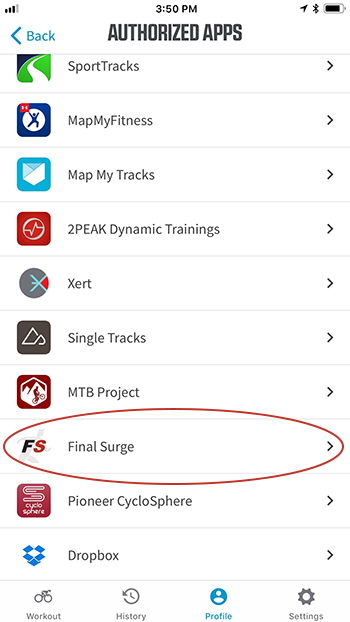 Once you have logged into Final Surge, grant permission to the Wahoo ELEMNT Companion App by clicking “Yes, Allow”. 5. That’s it! 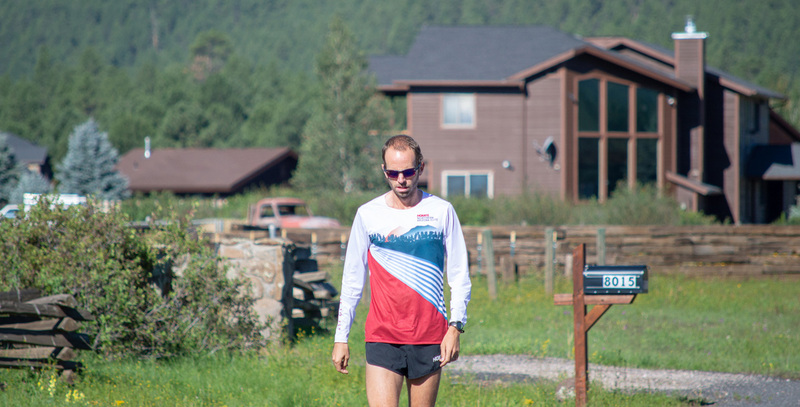 You will then see a check mark beside Final Surge on the Authorized Apps page that denotes your account is currently synced with your Wahoo ELEMNT Companion App. All future rides you complete with your ELEMNT will automatically sync to your Final Surge calendar.